County Road 600 (color) by Suarez. At the risk of going back to the well too many often, here is a horizontally shot color image of the tree I posted about two weeks ago. The prior vertical image emphasized the sky even more and this horizontal emphasizes the leading lines of the fence as well as the mountains in the background. What are your thoughts? Which do you like beter? NOTE: For those of you in the Austin area, Pete Holland will be speaking at the CapMac Advanced Photography SIG this Thursday. 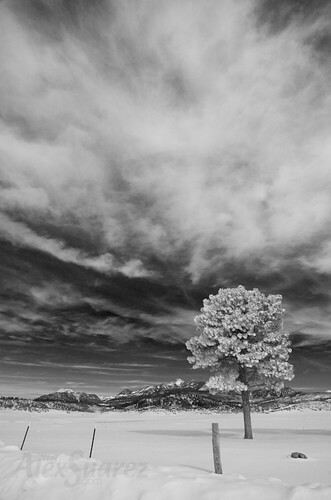 Pete will be speaking on Infrared and HDR Landscape Photography. Barn on County Road 400, originally uploaded by Suarez. 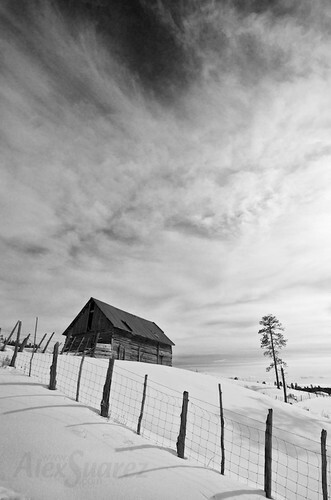 Found this barn on County Road 400 outside of Pagosa Springs, Colorado. County Road 600 by Suarez. 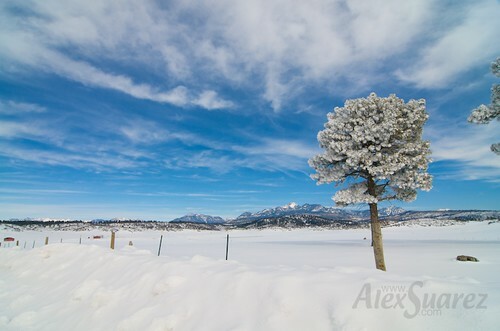 Found this snow covered tree on County Road 600 outside of Pagosa Springs, Colorado. Stump, originally uploaded by Suarez. 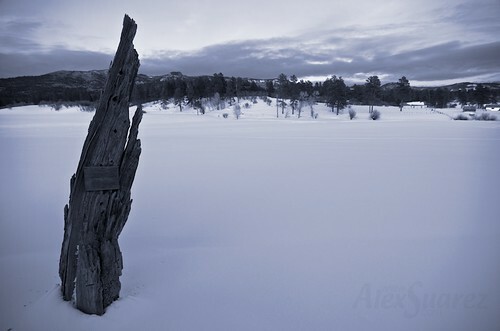 Found this stump on County Road 400 outside of Pagosa Springs, Colorado.